After a long career in design, creativity and brand strategy, Anna Kamjou joined Absolut in 2008, the same year the brand was acquired by Pernod Ricard. This summer, she oversaw long-term design partner The Brand Union's redesign of Absolut's 11-strong range of flavoured vodka. Kamjou spoke to Gemma Charles about her role, ideas-generation and influences. 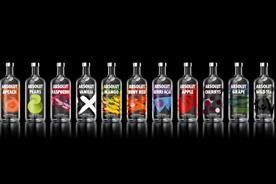 Absolut has a long history of having design at its very core. The management felt there was an opportunity to elevate design to a more strategic level in the company, so that's why they created the post of global design director and brought me on board. That was a conscious decision on the company's part to make sure that we had enough strategic, high-level knowledge within the organisation to "own" our strategy. For me, the benefit of coming into Absolut is the ability to work long-term, actually being able to drive, on a global level, the brand's design strategy and work on a long-term vision. You rarely get to lead and own that when you're agency-side, so that was a big pull. The other side for me was being able to focus in-depth on a brand that has an amazing creative heritage; it really has creativity at its heart. I'm passionate about new ideas and creating beautiful things based on those ideas; making something that is then physically out in the world. In many ways I think it is a dream job, it's a perfect fit. I would never have gone client-side just to have a corporate career. I work quite a lot like a link between the leftand right-brain of the brand. For me, it's about being able to work on a businessand brand-strategic level and then connecting that to a creative process, which is very intuitive and visionary. My team is pretty much a virtual one. The actual designers are from The Brand Union. We have a very collaborative, entrepreneurial relationship. It's not a classic client/agency relationship, we work much more closely together. We're not working like a huge corporate, but more like a small outlet when we work together. In-house, we're more of a strategic design function. We get assignments from our executive management, but we also present, align and explain all our new design visions, strategies and proposals to our business leaders. I spend quite a lot of time presenting to our board in Paris; Pernod Ricard takes design very seriously. The other side of what my team does is to make sure we support our 150 markets with global design guidelines. 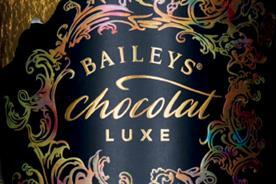 We approve almost everything the brand does in terms of packaging, product and innovation design. When I joined I felt that the way we brief was a key thing to address. Coming from agency-side, you just know that no creative piece of design work is ever going to be better than the brief. The very first step in that design work was a couple of years back in a visionary exploration that we did in conjunction with The Brand Union. When we do this we try to draw on all influences - everything from nature to consumer insight, art, things that we see in ads and like, our friends, travel, materials and technological advances. It's taking that broad range of everything that inspires us and then intuitively trying to find a new expression for the brand that is still in line with its design DNA. It's a bit like the way in which the car industry creates concept cars. 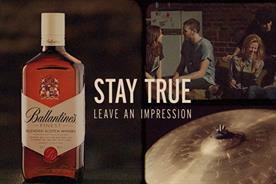 We dug deeply into the essence of every flavour. Based on that, we identified their essence and energy, and expressed that through a particular art genre, technique or school of artists. Quite early on, we had an idea about linking our product design more closely back to our art heritage. Absolut's art collection is a fundamental pillar of our creative heritage. Standard thinking with flavoured vodka is to put a picture of the fruit on the bottle. We felt we needed to do something more than that, which would set us apart. We've also screen-printed directly on glass - that's a craft skill on quite a high level. Of course, we produce bottles on a mass industrial scale, but there's still a lot of experimenting with the colour to get them just right, and there's still an element of doing things by hand. I have a personal interest in contemporary art and some of the old masters. Nature, as well, is a huge inspiration; that's very Swedish. In Sweden, nature is almost a religion. The design DNA of our bottle design draws on a time in Swedish history that I'm very inspired by - the Gustavian era, which is the late-18th century. A lot of the colours, materials and textures that we think of as being contemporary today look pretty much the same as then. One designer/architect/artist who really inspires me is Carl Milles. He took influences from all around the world and then mixed and matched that with local history and geography.